Among his most notable achievements, Dr. Edward W. Stuebing is most proud of his feat in co-founding the American Association for Aerosol Research (AAAR). 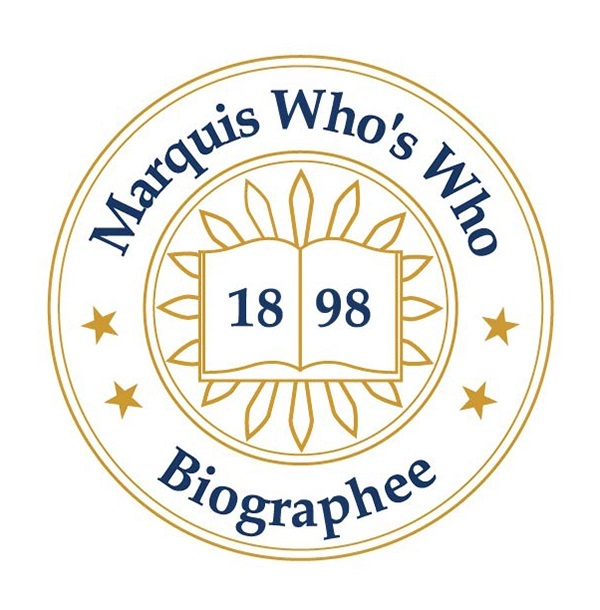 BALTIMORE, MD, August 29, 2018 — Marquis Who's Who, the world's premier publisher of biographical profiles, is proud to present Edward W. Stuebing, PhD, with the Albert Nelson Marquis Lifetime Achievement Award. An accomplished listee, Dr. Stuebing celebrates many years' experience in his professional network, and has been noted for achievements, leadership qualities, and the credentials and successes he has accrued in his field. As in all Marquis Who's Who biographical volumes, individuals profiled are selected on the basis of current reference value. Factors such as position, noteworthy accomplishments, visibility, and prominence in a field are all taken into account during the selection process. An esteemed professional in the field of physical sciences, Dr. Stuebing amassed nearly four decades of experience prior to his retirement from the industry in 2010. A team leader of the branch of aerosol sciences from 1977 to 2010, he also served in several other capacities during this time frame, including as the joint services manager and joint services business area manager of CB Defense Supporting Science and Technology from 1992 to 2003, chief scientist for physical sciences and division chief from 1999 to 2001, and research scientist with the United States Army at the Edgewood Research and Development Center on Aberdeen Proving Ground from 1977 to 2010. Dr. Stuebing commenced his career as a research scientist for the United States Army Frankford Arsenal from 1971 to 1977. Alongside his primary endeavors, Dr. Stuebing was an adjunct professor at Drexel University from 1973 to 1976 and an invited lecturer at various national and international scientific meetings. Locally, he was the director of the Civic Association in Kingsville, MD, from 1989 to 1992 and founder and president of the Gunpowder Valley Conservancy from 1990 to 1994, where he currently serves as treasurer. Dr. Stuebing has also remained an elder at the Presbyterian Church in Franklinville, MD, since 1993. Commissioned in the United States Army Reserve from 1965 to 1976, where he served as a captain, Dr. Stuebing pursued a formal education at the University of Cincinnati, earning a Bachelor of Science with high honors in 1965. He concluded his education in 1970, graduating from Johns Hopkins University with a Doctor of Philosophy. In an effort to remain aware of recent developments within the industry, Dr. Stuebing maintains affiliation with the American Chemical Society, the American Physical Society, Phi Beta Kappa and Sigma Xi. Among his most notable achievements, Dr. Stuebing is most proud of his feat in co-founding the American Association for Aerosol Research (AAAR), a nonprofit organization for scientists and engineers who wish to advance aerosol research and technology, while providing defensive military and civilian bioterrorism solutions. Beginning in 1977, he assembled several hundred interdisciplinary scientists from across the nation to meet together annually for a week, and to collaborate on aerosol research in their work, creating a scientific community that grew in 1982 into the founding of the AAAR. By 2000, the AAAR was the world's largest aerosol scientific society publishing the most cited aerosol journal: Aerosol Science and Technology. Dr. Stuebing was the director from 1998 to 2001 and chairman of the national meeting in 1983. In light of his exceptional accomplishments in aerosol research and military service, Dr. Stuebing has accrued several accolades throughout his impressive career. He was the two-time recipient of the Army R&D Achievement Award in 1974 and 1985, and he was awarded the Medal for Meritorious Civilian Service in 1984. The winner of the Outstanding Federal Professional of 1984 Award by the Federal Executive Board, he was also honored with the William H. Walker Award in 1989. Notably, Dr. Stuebing has been highlighted in several editions of Who's Who in America, Who's Who in Science and Engineering, Who's Who in the East and Who's Who in the World. In recognition of outstanding contributions to his profession and the Marquis Who's Who community, Dr. Stuebing has been featured on the Albert Nelson Marquis Lifetime Achievement website. Please visit www.ltachievers.com for more information about this honor.